management team, chef brigade, hosts and experienced field guides. Driven by our passion for conserving a vanishing way of life, joining the team means you will become part of the family who live by our motto of respect for nature and each other. Below are the current positions we are hiring for. Take a look and see if we have an opening for you. Please note only South African citizens will be considered. 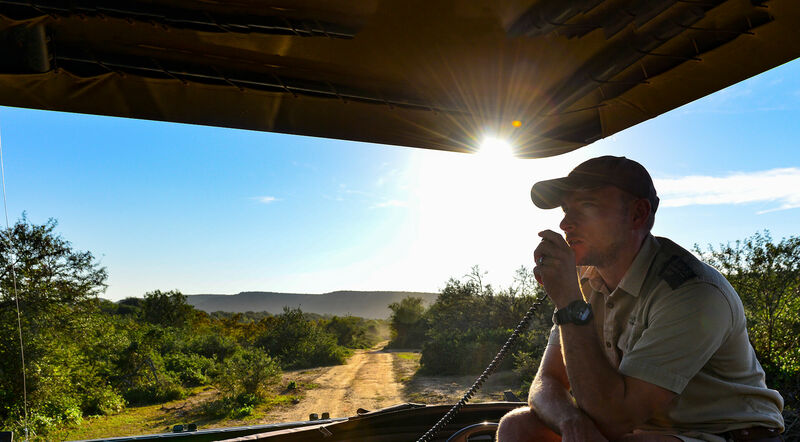 Shamwari Private Game Reserve is a world-renowned conservation orientated establishment. We require a junior sous chef to join our team. The core function of the junior sous chef would be to take responsibility for the kitchen, its equipment, the stock as well as the junior chefs working under him/her. To understand the importance of hygiene and safely measures in the kitchen and to implement these measures. This candidate will also get to prepare out of this world meals for guests daily. If you are looking to join an incredible team of like-minded chefs in a wonderfulwilderness environment, this is just for you. Shamwari Private Game Reserve has a one of a kind Kids Adventure Centre at Riverdene Family Lodge. We require someone to assist the primary adventure centre coordinator. The primary purpose of an assistant adventure centre co-ordinator is to assist in overseeing, coordinating and directing the operations, service, logistics and activities of the Kids Adventure Centre. This person will take responsibility for the efficient operation of the Kids Club as their primary responsibility. This position will require someone who is willing and able to work with children of all ages. It would be advantageous for the candidate to be a team player and have good guest relations. We are looking for an Executive Lodge Operations Manager to join the Shamwari team. One of the key performance areas for this position will be to develop policies, processes and standards to ensure effective, high-quality lodge experiences are provided to guests. The candidate will be required to have a formal hospitality/hotel/business management diploma and / or a minimum of 8-10 years management experience in the hospitality industry. Consider joining the amazing Shamwari team in providing the best safari experience in the Eastern Cape of South Africa.